18kt everose gold case with a 18kt everose gold Rolex President bracelet. Fixed fluted 18kt everose gold bezel. Chocolate dial with luminous rose gold-tone hands and index hour markers. Minute markers across the outer rim. Dial Sort: Analog. Luminescent hands and markers. Date display on the 3 o’clock position. Rolex calibre 2236 automatic movement with a 55-hour power reserve. Scratch resistant sapphire crystal. Screw down crown. Cast case back. Spherical case form. Case size: 28 mm. Water-resistant at 100 meters / 330 feet. Purposes: date, hour, minute, second, chronometer. Luxury watch taste. Watch label: Swiss Made. 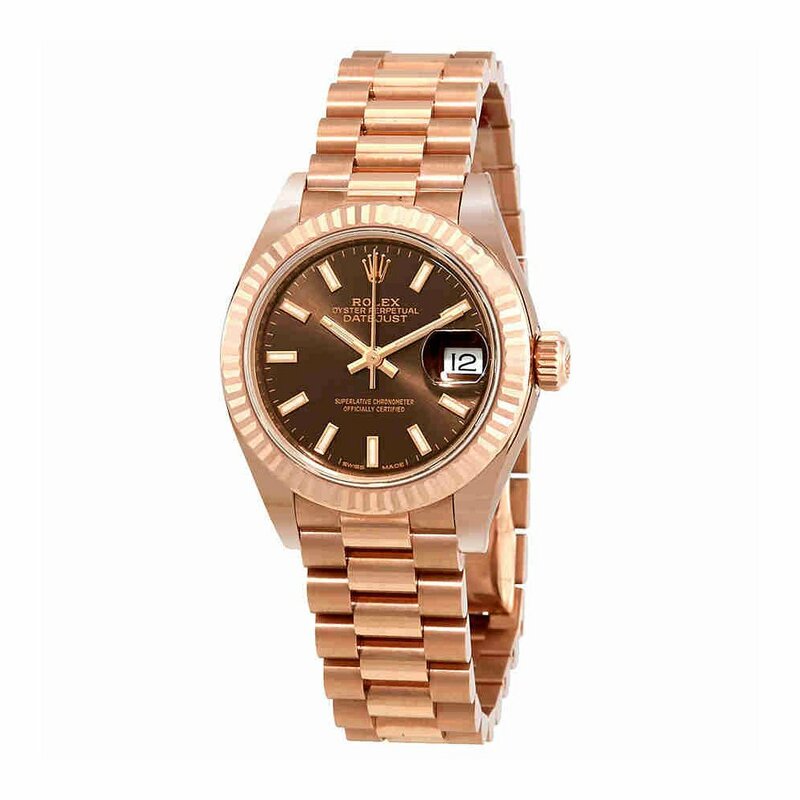 Rolex Woman Datejust Chocolate Dial 18K Everose Gold Automatic Watch 279175CHSP.